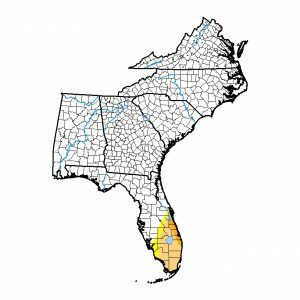 With the continued lack of rainfall in the Florida peninsula, an area of severe (D2) drought has been added to the Drought Monitor map this week. 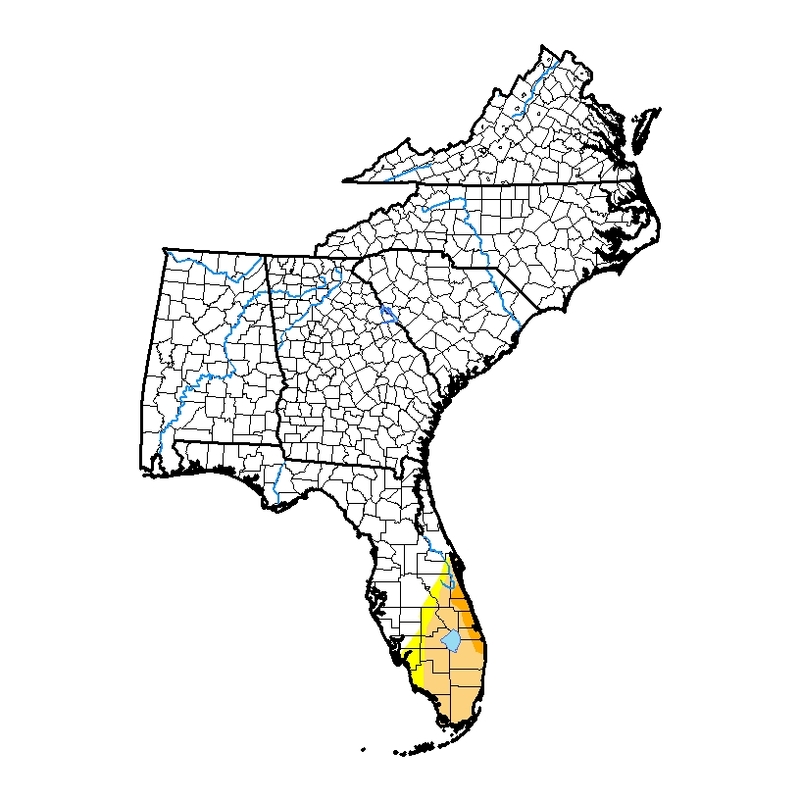 The severe drought stretches along the east coast northeast of Lake Okeechobee. Rainfall in the next week will probably keep things unchanged in next week’s map. No drought elsewhere in the Southeast, not a big surprise with all the rain we have been getting!